The Green Bay Packers have had a highly disappointing season, entering play on Sunday with a record of 4-6-1. And on Sunday, the Packers lost 20-17 to the Arizona Cardinals, at Lambeau Field, as 14-point favorites. The horrible loss makes for a new low point for the Packers’ season, which is saying a lot. The Packers have the same record as the Cleveland Browns, they don’t have a road victory, and now they’ve lost at home to Josh Rosen. This is a team that has *Aaron Rodgers* at quarterback. Naturally, there’s been plenty of talk about firing head coach Mike McCarthy, who’s made some incredibly dumb in-game decisions that really stick out when the team is losing games. There have also been reports that McCarthy and Rodgers are sick of each other, and obviously the organization is going to side with a superstar franchise quarterback over a head coach. And shortly after the Packers lost to the Cardinals on Sunday, the organization released a statement that they’ve chosen to part ways with McCarthy. They also named Joe Philbin the interim head coach. Barstool Sports’ podcast Pardon My Take — featuring Big Cat and PFT Commenter — was actually first with the scoop on Twitter. Surely the Packers weren’t expecting to fire McCarthy on Sunday either; they were expecting to beat a very bad football team at home. But this separation has seemed inevitable, and the embarrassing loss made it an easier call for the Packers to just move on now. McCarthy, 55, was in his 13th season as head coach, and put together a 125-77-2 over that time. But going only 10-8 in the playoffs and winning just one Super Bowl with Rodgers should be viewed as a pretty big disappointment. Philbin has been the Packers’ offensive coordinator and was the Miami Dolphins’ head coach from 2012-15. 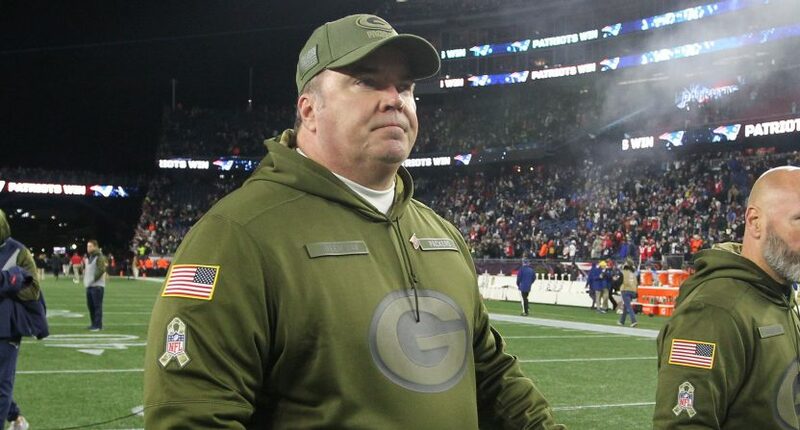 He’s quite likely just a short term option and the Packers will wait until the offseason to address the head coaching job for 2019. You’d also have to think that Rodgers will have some input on the next choice to coach the team. And even with the many flaws of this Packers team, Rodgers will make the job a very attractive one for head coaching candidates (particularly those with offensive backgrounds).